…Catalan culture in a palace on a hill. The Museum of National Art of Cataluña (MNAC) is situated in the magnificent palace (built for the World Exhibition) at Plaza España. 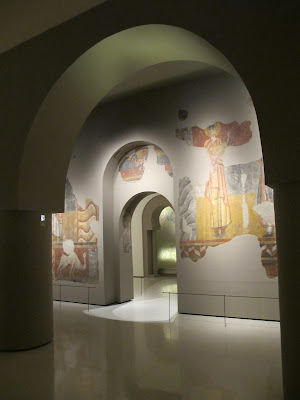 It contains an extensive display of rescued murals from the walls of Medieval chuches in the Pirineos, through to examples of Modernist Catalan art. 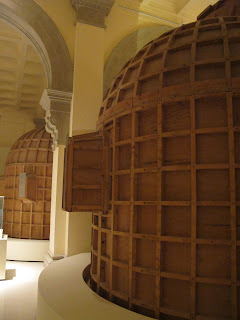 It is fascinating and rich example of all art Catalan. Sarah Perkins is an Australian who has lived in both Melbourne and Sydney until she left last year for Barcelona. After many years of travelling the world for work and for pleasure, she is enjoying sitting still in beautiful Barcelona, trying to learn castellano, while creating events and tours and sharing her passion and infatuation for the city in her blog 'Barcelona Besotted'.